Fire Departments play a vital role in protecting public safety. Fire fighters need to be able to respond quickly and effectively. This need for efficiency holds true for the important preventive activities Fire Departments complete such as routine inspections of fire protection systems. This helps ensure these systems will be operational when needed. That’s where SBN’s mobile fire inspection software comes into play. SBN’s solution leverages our mobile inspection platform and allows an organization to organize, conduct, document and report their inspections all from the field. 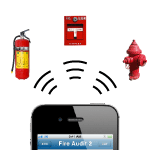 From fire extinguishers, fire hydrants and fire alarm systems to inspections of all life safety systems, SBN’s solution can assist with fire department management and their inspection needs. 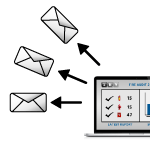 The embedded fire reporting software also simplifies an organization’s documentation and reporting needs. An organization only needs to identify fire systems and life safety systems that require inspection. Use our administrator tool to enter these systems into the mobile fire inspection software and customize each checklist to fit your needs. The mobile platform will automatically generate email reminders for pending inspections. Then right from the field, access your inspection checklists, and as each inspection is performed, document the results on the mobile device. This creates a permanent electronic record. 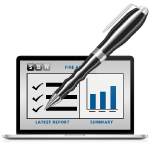 The fire reporting software can be used to automatically generate custom reports that can be sent to the appropriate stakeholders.